Departure from Canada for Frankfurt. After arrival, we transfer to the nearby Rhine Valley and check-in with time before dinner. 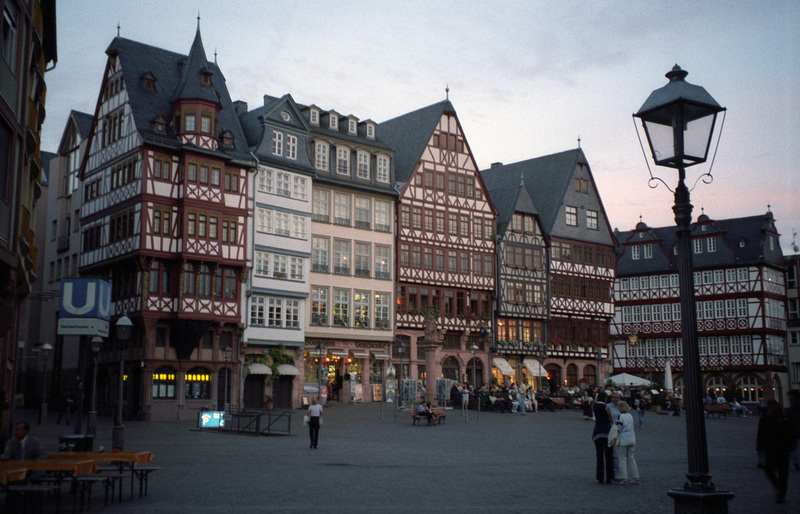 Note: Morning arrivals will be transfered to the centre of Mainz. After a little while to stretch your legs you will have a tour of the Gutenberg Museum. The invention of the printing press in 1439 by Johann Gutenberg was one of the most significant inventions for mankind, enabling the dissemination of knowledge throughout the population and classes. Then check into the hotel. 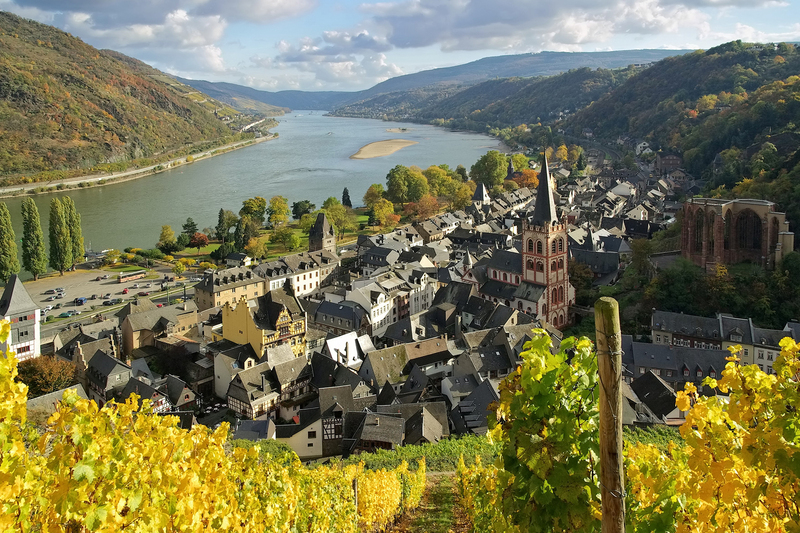 Enjoy a morning river cruise past the castles and vineyards of the Rhine between Ruedesheim and Boppard (about 2.5 hours, passing the famous Lorelei). Then we'll proceed to Cologne for a brief visit (the incredible Cathedral is the largest Gothic church north of the Alps) and on to Ghent, where we will check in and have dinner. Today we visit the surroundings of Ieper (Ypres), site of WWI’s first gas attacks. You cannot turn your head in the Ypres area without seeing a war cemetery somewhere on the horizon, indicative of the horrors these parts saw. We will begin at the impressive Passchendaele Museum which provides an excellent basis for the rest of our explorations. 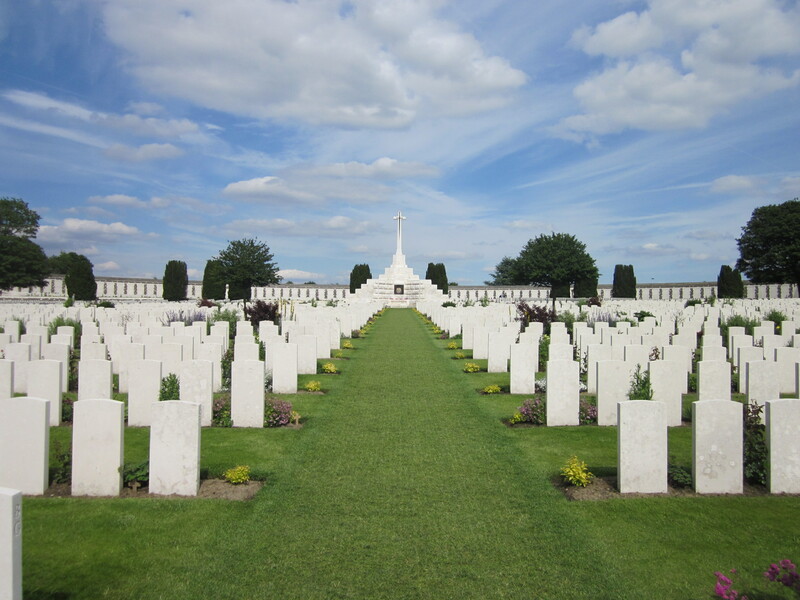 Then we'll visit Tyne Cot Cemetery, the largest Commonwealth War Graves Commission cemetery in the world (with 11,965 graves and a further 33,783 commemorated on the Memorial to the Missing. We'll then visit the German Cemetery at Langemark (with 44,000 graves), the St. Julian Canadian Monument with Vancouver Corner, and John McCrae’s field station. Between our visits today you’ll have some time for exploration and lunch on your own in Ypres itself. In the evening we'll have an early dinner in Ypres and join the daily Last Post Ceremony at the Menin Gate before returning to Ghent. This morning we have a city tour of the historic town of Ghent followed by time for lunch. Then we drive to the Canadian Cemetery at Adegem, visit the Canadian Museum at Maldegem and explore the Leopold Canal area before returning to Ghent in time for dinner. Today we will cover the route of the Canadian Second Division through the Scheldt Estuary, an interesting region which was partly flooded during the war. Stopping first in Middelburg and from there we'll proceed to Bergen op Zoom to visit the cemetery. Returning via Antwerp, we will stop at Fort Bredonk, built in 1906 but later used as a Nazi prison camp. We will arrive in Ghent in time for dinner. We leave early today to travel to the Canadian Cemetery at Holten where we will take part in the very special commemoration ceremonies. Holten has a long-standing tradition of honoring the special contributions of Canadians in the fight to liberate the country and it is a profound experience to travel to the cemetery, with the houses of the town and their yards decorated with Canadian flags. In the afternoon we proceed to Arnhem, which will be our home base for the next week. Today we join the locals in Katwijk by the Sea, a seaside town at the mouth of the Rhine which once marked the northern border of the Roman empire. There will be a parade and wonderful local festivities as we join in celebrating their liberation 75 years ago, it will be a perfect day for us to embrace the spirit of the remembrance and to meet up with the locals over a beer. Today we will visit the nearby Airborne Museum and enjoy a bit of time exploring Arnhem, location of the famous John Frost Bridge of the movie “A Bridge Too Far”. In the afternoon we will take a drive to nearby Otterlo. This morning we will visit the Canadian Cemetery at Groesbeek before driving to Germany, where we visit Reichswald Forest Cemetery, the largest WWII Commonwealth Cemetery (708 of whom are Canadian airmen). 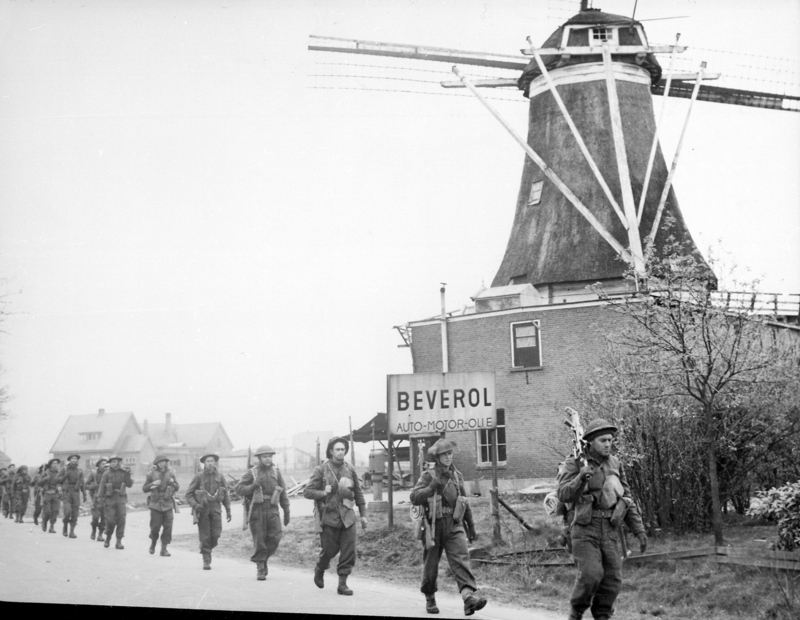 On our return journey, we will cross the Rhine at Rees-Bienen, where the Nova Scotia Highlanders of the 3rd Canadian Division crossed in April 1945, then return to Arnhem in time for dinner. Today we take a full day excursion by train to Amsterdam. 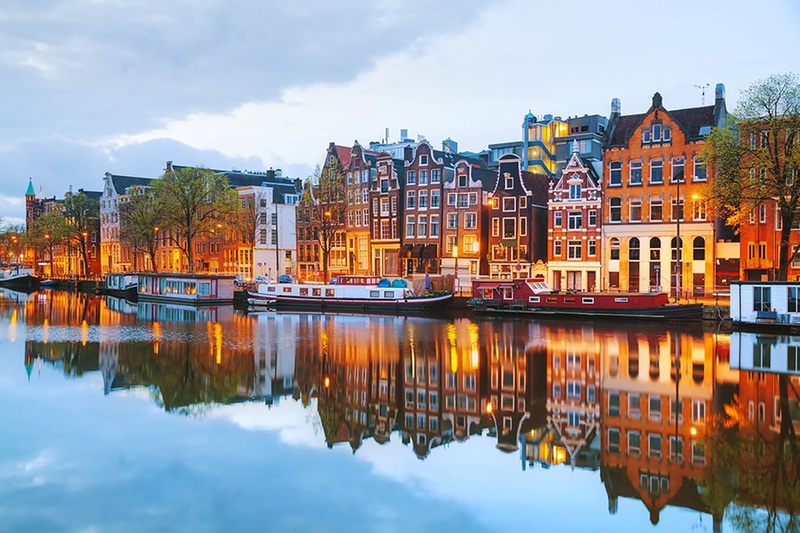 We'll enjoy a Canal Boat Cruise for a scenic overview of this city of canals, then there is time for exploring on your own. Perhaps you'll want to visit Anne Frank House, or Van Gogh or Rijks Museums. We'll then train back to Arnhem in time for dinner. Today is a special day as we will join the main parade in honour of the 75th Anniversary of the Liberation of Holland in Apeldoorn. 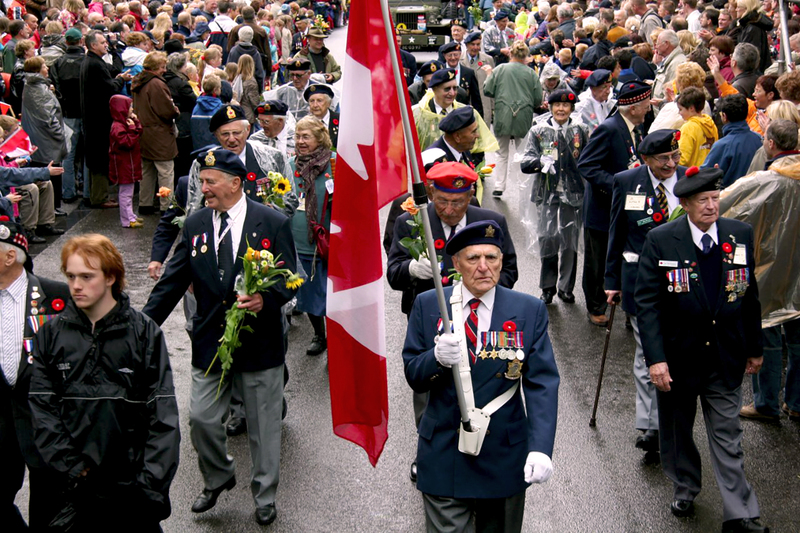 Thousands of people line the streets to pay tribute to returning veterans, reconfirming the special ties that connect Holland and Canada. We travel to Rotterdam for a chance to tour one of the three largest harbours in the world. Then we ill visit the famous Keukenhof Gardens, where we should be in season to experience the full glory of tulip fields in bloom. We end the day in the Amsterdam area, check into our hotel and enjoy a farewell dinner. Transfer to the airport for your flight home or you can choose to extend your stay in Europe.